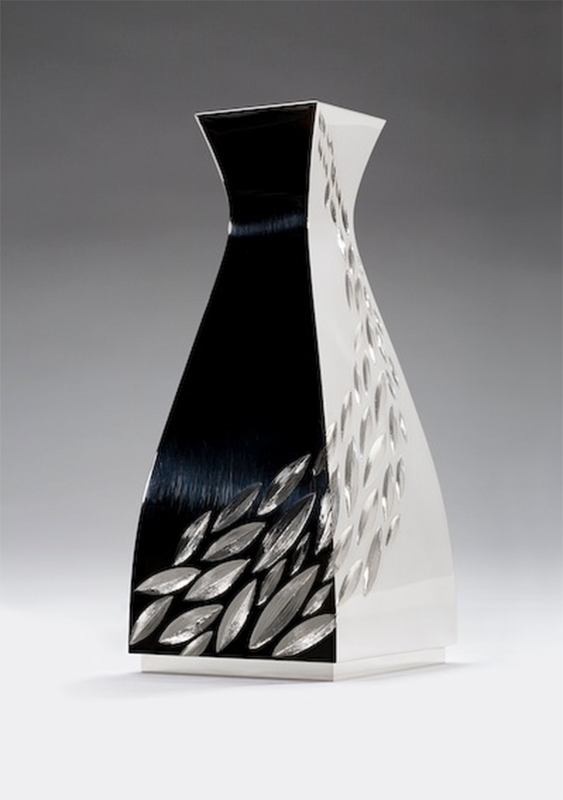 SAKE VESSEL silver, hand engraved with pattern based on cascading rice. lemon yellow gilded interior height 180 mm. photo : simon b armitt.